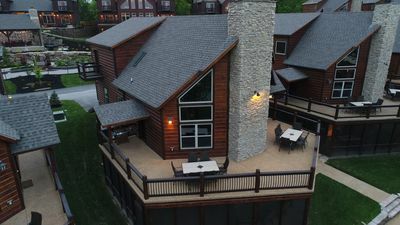 CLOSEST RESORT TO Silver Dollar City! Beautiful upscale Condo. FREE WIFI! If you love what you see we offer 2 additional properties. 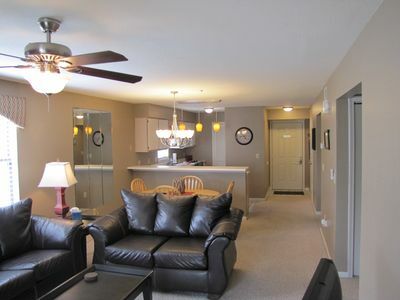 VRBO #:457163, which is located in the same beautiful resort. This can be used for a second family staying close to you. 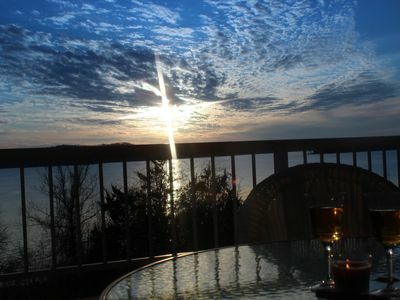 VRBO#: 345147, a top end lake front condo with amazing resort amenities. 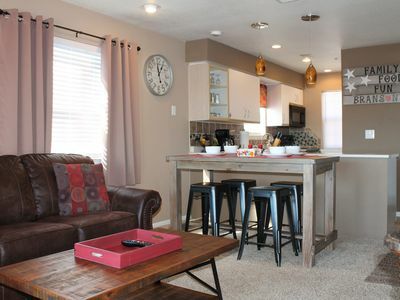 This unique upscale vacation condo is located in the indian point area. 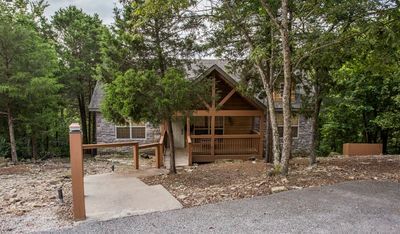 The beautiful unit resides in the ever popular eagles nest resort featuring a spacious condominium that has been created to take you away from all the stresses in life, while being located right next to the fun and exciting silver dollar city, theme park. 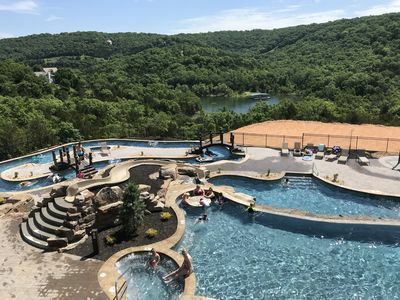 The unit is only a short drive to the exciting strip of branson, missouri, where you can enjoy numerous shows, restaurants, mini-golf, shopping, lake activities and much more. 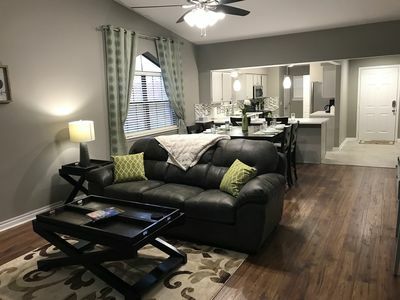 This beautiful condo has just been newly interior decorated with FIRST CLASS furnishings including, new linens / bedding, plush towels, beautiful decor, flat screen tvs and comfortable deck furnishings. 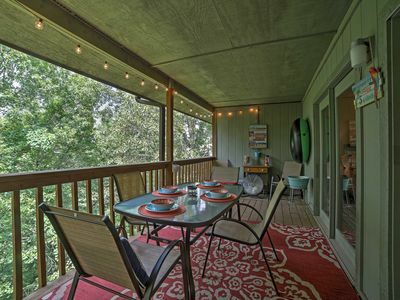 Simply relax and enjoy the amazing table rock lake and ozark mountain views from our deck. 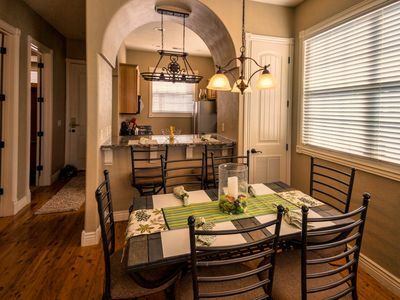 This beauty features 10 foot ceilings, custom woodwork, tray ceilings in both bedrooms, walk in tiled shower in master bath, granite countertops throughout, wood, tile and carpet flooring. 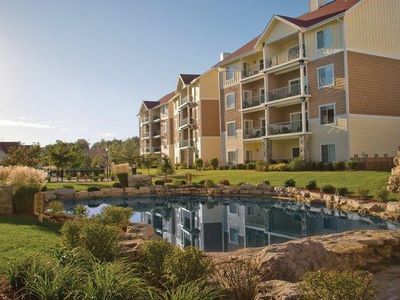 This is an upscale condo and rated as one of the nicest in the branson area. 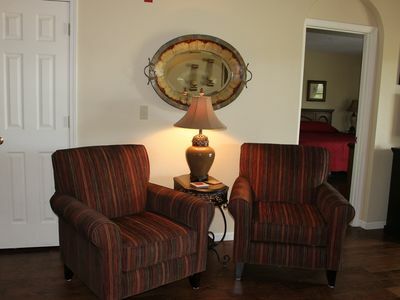 Each bedroom has their own private bath including tile floors, jetted tubs, and showers. 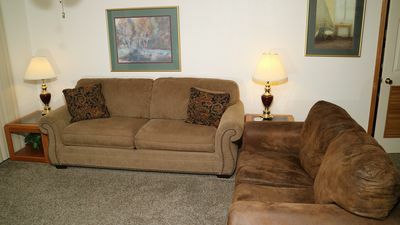 Additional sleeping is accommodated with a brand new pull out leather sofa sleeper in the living area. 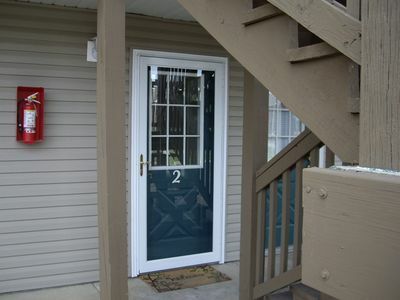 Imagine how convenient life could be to be so close to the park. You can come back to the condo for lunch, put a little one down for a nap, relax then quickly get back to the park for the rest of your fun! 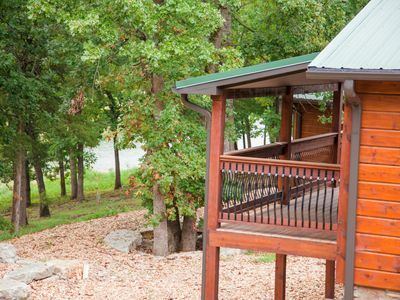 Silver Dollar City theme park, is located right up the hill from our property. 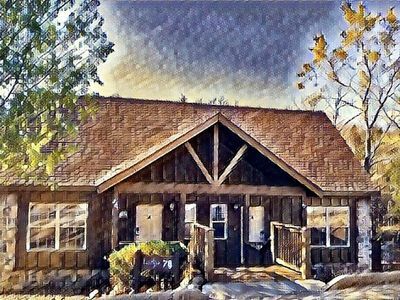 This popular resort boasts many amenities, including swimming, hot tubbing, playing tennis, hiking on the areas trails, playing on the playground or just relaxing in the unit on the back deck. You can take a walk down the tree lined trail to the lake for swimming and great fishing! Boating and water activities including boat dock rental can be done at the nearby marina down the road. 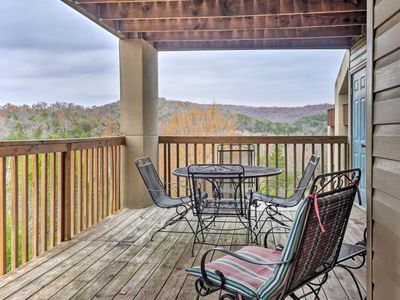 Closest Resort to Silver Dollar City - Outstanding Views and Deck! 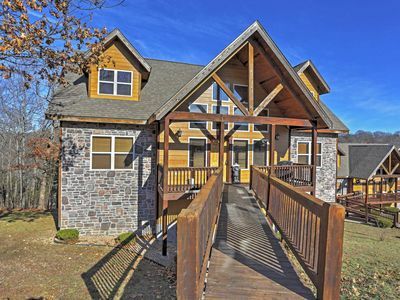 Beautiful Branson Resort Cabin w/Mountain Views! 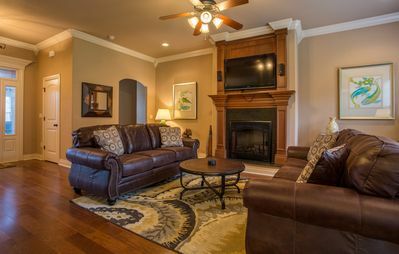 Incredible 4 bd, 3 bath home at Branson Creek! 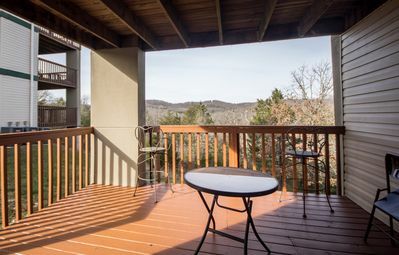 Branson Area Condo w/Deck 1 Mi. to Silver Dollar! 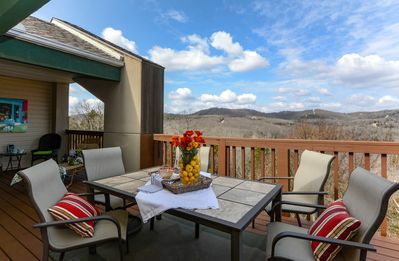 Branson Condo w/ Deck Next to Silver Dollar City! 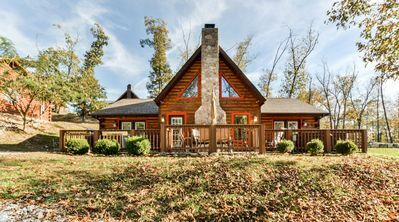 Gorgeous Table Rock Lakefront Cabin with Gentle Walk to the Water! !